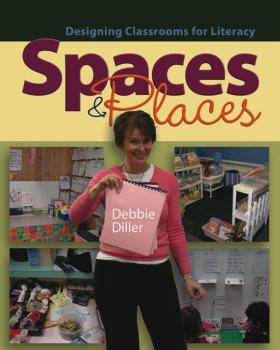 In Spaces & Places you'll find a wealth of full-color photos from all sorts of classroom spaces in pre-K through fifth grade, including well-organized areas for whole group and small group reading instruction, classroom libraries, literacy work stations, teacher desks, and storage areas. You'll love the "before and after" pictures and the step-by-step processes outlined for organizing your furniture and cabinets, setting up your room space by space, and using your walls thoughtfully. Debbie has even documented how to pack your room at the end of the year to save time next fall (so you can focus on thinking about instruction) and what to do if you must move all your belongings. Charts, reproducible forms, motivating quotes, a list of shopping sources, and reflection questions are included, along with a section outlining ten specific suggestions for ongoing staff development. Whether or not you implement literacy work stations in your classroom, Spaces & Places includes everything you need to look deeply at classroom space and how it supports instruction. Chapter 3: Come On In!